When we purchase our cars from the dealer they come with a standard set of shock springs. The shock springs are responsible for giving our cars the freedom to ride over bumps while preventing the car from bouncing all over the place. If you have ever been in a car that rides over a bump but then keeps on bouncing afterwards then chances are the shocks on the car are going bad. They have lost the ability to absorb the shock from the bumps on the road. Many people decide to replace their shock springs when they notice that they are no longer functioning properly or serving their purpose. Others replace their shock springs with a different type of spring known as lowering springs simply for the lowering effect they have on the vehicle. By lowering the vehicle closer to the ground the car looks more sporty, sleek and attractive to many people. Once a car has been lowered to the ground using lowering springs it can no longer be driven off road and the driver must be cautious as to the height of the vehicle and what the car can successfully drive over. Going over a large bump in the road could cause damage to the under carriage of the car if driven too fast. Although the lowering shocks will work great to reduce the bouncing of the car and improve the overall handling, the new height can pose other problems when not considered. Lowering your car can be done by a professional or you can install the new springs on your own. Depending on your experience with working on cars you may feel like this is a rather simple job or you may feel this job is a little harder than you may want to tackle. If you have never installed new springs on a car before you may want to do thorough research before getting started. Once you take the car apart to install the new lowering springs you must be sure to have all the tools and equipment necessary to put it back together. By installing the lowering springs on your own, you will save quite a bit of money by avoiding the cost of labor, however having the job done perfectly is key to your car's ultimate performance. Many times the car is not lowered properly and the owner of the car will be disappointed in the way the car handles after the installation. For those who intend on racing their vehicle it is definitely recommended the new lowering system by done by a professional. This is to avoid any damage being done to the car and lessening the risk of problems with the car's suspension in the future. The prices of the lowering springs vary depending on the brand and type you decide to purchase. Before purchasing any lowering springs I would first suggest asking a professional what they recommend. Obviously the higher quality the springs are the more they will cost, but in the end it will be worth it. There are several ways to purchase your lowering springs. You may find the parts you want out of an auto catalogue but chances are you will find the biggest selection in brands and prices online. 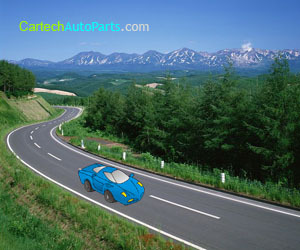 There are various manufacturers to choose from and some may be more suitable for your car or your budget. Once your car has been lowered you may find that the results are amazing. Both the look and the feel of the car's ride will make you very happy with your choice to lower your car. As long as the job is done right, a lowered car not only looks sharp but also handles remarkably.